This page is a tribute to the great singer/actress from the early 1940s 1950s 1960s and untill this present day. 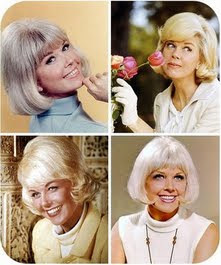 During the 1990s, interest in Doris Day grew. The release of a greatest hits CD in 1992 garnered her another entry onto the British charts, while the inclusion of the song "Perhaps, Perhaps, Perhaps" in the soundtrack of the Australian film Strictly Ballroom gained her new fans. During the late 1990s and early 2000s, the release of her films and TV series and specials on DVD further revived interest in her work, resulting in new websites devoted to Day and a growing number of academic texts analyzing various aspects of her career. In 2006, Day recorded a commentary for the DVD release of the fifth (and final) season of her TV show. Recently Day has participated in telephone interviews with a radio station that celebrates her birthday with an annual Doris Day music marathon. These interviews are available as downloadable podcasts. While Day turned down a tribute offer from the American Film Institute, she received and accepted the Golden Globe's Cecil B. DeMille Award for lifetime achievement in 1989. In 2004, Day was awarded the Presidential Medal of Freedom but declined to attend the ceremony because of a fear of flying. a long-time entertainment gossip columnist, and movie critic Rex Reed have mounted vigorous campaigns to gather support for an honorary Academy Award for Day to herald her spectacular film career and her status as the top female box-office star of all time. Day was honored with a Grammy for Lifetime Achievement in Music in February 2008. In "Send Me No Flowers" Hudsons performance was certainly as good as Stanley Holloway's in "My Fair Lady" that same year, 1964. This proves that comedy acting hadn't at the time and doesn't today, get the respect it so richly deserves. Similarly, Janis Paige was certainly nominee-worthy for her 'Deborah Vaughn' in "Please Don't Eat the Daisies". Instead, the Academy gives awards to people like first time nominee, Laugh-In's "sock-it-to-me girl", Goldie Hawn for "Cactus Flower", which was certainly not Oscar-calibre acting. Even Miss Hawn commented that she "appreciated the award" but wishes that she had "gotten it for something else". After six nominations, the legendary Thelma Ritter ("All About Eve" and "Pillow Talk") was still Oscar-less. "Send Me No Flowers" has been described as a "dark comedy" probably because of its subject matter, hypochondria. Why George Kimball (Rock Hudson) has developed this condition is not explained. We know from his doctor, Ralph Morrissey (Edward Andrews) that he has complained about everything since he became his doctor. His medicine cabinet is filled with prescription bottles and he pops pills like a dope fiend. 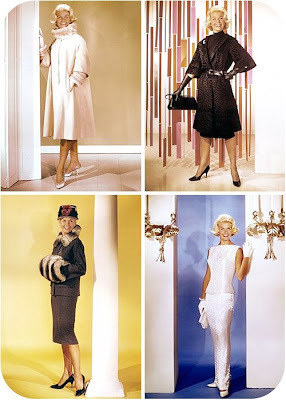 His wife, Judy (Doris Day), seems to be a happy housewife living in "the burbs" who takes her husband's "health problems" with a grain of salt. She seems to find it amusing. Always feeling that he "has something", George visits the doctor for a check-up. While he is taking a pill in the rest room, he overhears the doctor discussing another patient, one who is terminally ill and about to die. Arnold (Tony Randall) who falls completely apart and starts drinking to deal with the impending "tragedy". The whole thing is a bunch of nonsense. 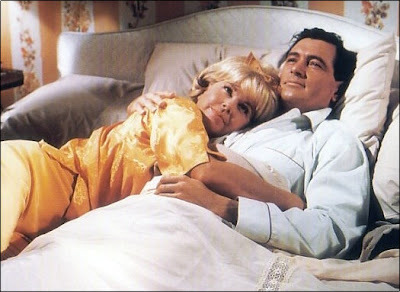 A must see for all Doris Day & Rock Hudson fans. Young at Heart is a 1954 film, directed by Gordon Douglas. Jr and Dorothy Malone and was the first of five films that Gordon Douglas directed Frank Sinatra. When song-writer Alex Burke (Gig Young) enters the lives of the musical Tuttle family, each of the three daughters falls for him. His personality is a match for Laurie Tuttle (Doris Day), both she and Alex seemingly made for each other. Soon they are engaged, although, when a friend of Alex', Barney Sloan (Frank Sinatra) comes to the Tuttle home to help with some musical arrangements, complications arise. His bleak outlook on life couldn't be any more contradictory to that of Laurie's and Alex's, and although the family welcomes Barney into their lives, a feeling of genuine self-worth escapes him, even after both he and Laurie fall in love and marry. Barney, with a black cloud perpetually hanging over his head, decides one evening to kill himself by driving on a snowy night into traffic with his headlamps turned off. Barney lives, and with a new found affirmation of life, finally writes the song he had been working on, finding his self-esteem in the arms of Laurie. The character of the self-destructive Barney Sloan was originally written to die at the end of the film when Sloan drives into on-coming traffic during a snow-storm. Sinatra, whose characters in his two previous films - From Here to Eternity and Suddenly - perished at the end, thought Sloan should live and find happiness. 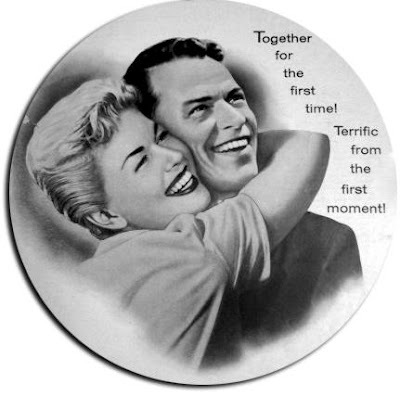 Sinatra's growing influence in Hollywood was enough to have the ending re-written to accommodate. Just the opposite would happen a decade later when Sinatra had the ending of Von Ryan's Express changed.